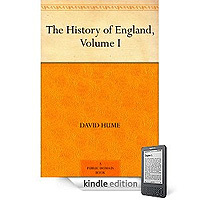 Volume 1 of “Hume’s great History of England the theme of which is liberty, above all English constitutional development from the Anglo-Saxon period to the Revolution of 1688. This Liberty Fund edition is based on the edition of 1778, the last to contain corrections by Hume. Possibly one of the more detailed histories of England. Once used to the 18th century language and sentence structure I found it an enthralling read. Much more detailed than any other history Ive read. Now I just need to find Volumes 2-6 !